Second submission for your T-shirt based on your updates and some new concept ideas. 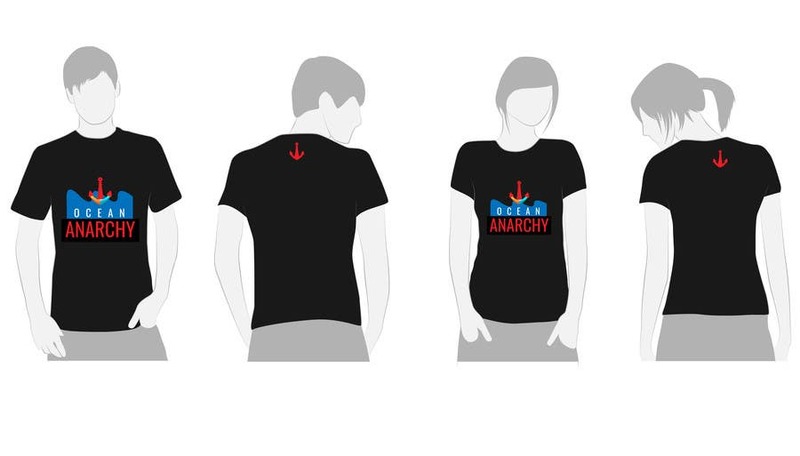 Basically as from the first submission I decided to explore the possibility of merging an anchor (which resembles the ocean) with a spear to convey the spearfishing message as well as portraying the "anarchy" in your business identity. Thank you and may wishing you the best in all your business endeavors!